“The Two Week Wait” is the fourth novel by Sarah Rayner. After a health scare, Brighton based Lou is forced to confront the fact that her time to have children may be running out. She can’t imagine her future without a baby being in it but it seems that her partner, Sofia doesn’t feel the same way. Lou knows that she wants to have a baby, but she’s not sure it can be something that she can do alone. Meanwhile in Yorkshire, Cath is longing to start a family with her husband Rich but Cath is infertile. Unaware that their fates are intimately linked, could these two strangers help each other out? 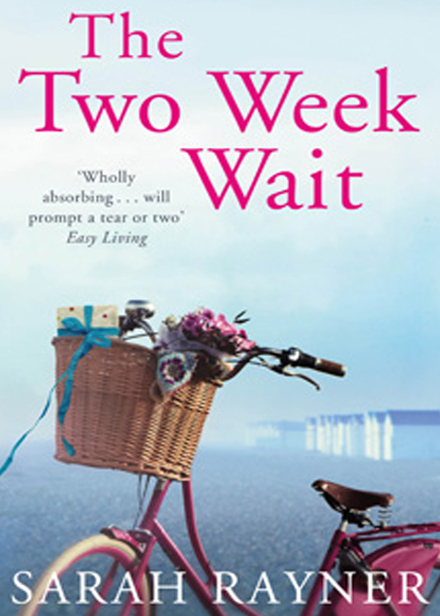 “The Two Week Wait” is the first book that I have read by the London author and I thought it was quite a deep read and of a topical nature that explores the yearning and desire to become a mother. As a dual narrative, it was interesting to see both women with completely different situations and scenarios go through the same emotions as they explore the various options available to have children. As Cath and Lou deal with the trials and tribulations of IVF and egg sharing, I found it fascinating to discover that there were quite a few options available, as the topic of the story was a new one for me and also quite an eye-opener at times. “The Two Week Wait” deals with quite a sensitive issue of infertility, and I thought it was handled beautifully. The book can occasionally make for sad hearing as they both struggle along on their hard and lonely journey. Written tenderly, this book is an absorbing and hopeful read, that explores the very importance of being an mother and finally finding your place in the world. You can buy The Two Week Wait on Amazon and other good bookshops.